Mission: The Jackson County Board of Election Commissioners works to provide a secure and confidential right to the public to exercise the right of suffrage and maintain accurate and current registration data, all in accordance with statutory authority, and to carry out its mission with the highest degree of courtesy and professionalism to members of the general public and all who contact its office. 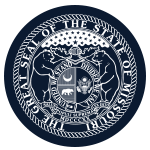 Function: The Jackson County Board of Election Commissioners may make all rules and regulations, not inconsistent with statutory provisions, necessary for the registration of voters and the conduct of elections. The board is also responsible for the employment of attorneys and other staff necessary to perform the duties of the board. Compensation: Members receive a salary not to exceed $5,200 and reimbursement for realized and necessary expenses.